SCORE Nashville Fashion Symposium. 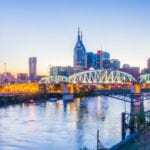 The Nashville Fashion Industry has experienced phenomenal growth over the past five years and has the potential to double in the coming eight to ten years to reach over nine billion dollars in total economic impact. Join us to learn how to become part of this growth in the fashion industry. LOCATION: Tennessee Bankers Association – 211 Athens Way, Nashville, TIME: 9 am – 12 noon. Contact: (615) 310-6784. Classic Looney Tunes Characters at the Belcourt. We grew up with them and loved and laughed with the zany and wonderful classic Looney Tunes characters. These shorts will be screened on 35mm. Catch Bugs Bunny, Daffy Duck, Pepe Le Pew and the whole gang for Saturday morning cartoons at the Belcourt. Starts at 10am at the Belcourt Theatre 2102 Belcourt Avenue, Nashville. Jefferson Street Jazz and Blues Festival. The 17th Annual Jefferson Street Jazz & Blues Festival is a celebration of music and culture. The Saturday event features a main stage in the Bicentennial Mall amphitheater, along with vendors, food trucks, a customized Children’s Pavilion, and much more. Festival-goers can enjoy tunes of jazz, blues and R&B from local artists and national headliners. Doors open at 2pm. Show starts at: 3pm. FREE Children’s Pavilion from Noon – 3pm. Contact: (615) 726-5867. Nashville Bead Show–Join us at The Fairgrounds Nashville from 10am-5pm to shop beads from around the world. Our exhibitors will have the ultimate selection of gemstones, chain, and so much more. Come shop the best of the best, East Coast’s #1 Bead Show!! Contact: (888) 729-6904. TIME: 10am – 5pm.